This formation program was created at the request of Archbishop Favalora and promulgated as mandatory for all ministers in the Archdiocese of Miami in September of 2006. 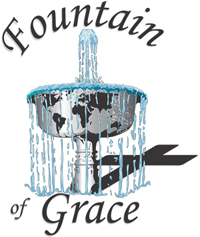 Fountain of Grace is an introduction to the Catechism of the Catholic Church and is used as a method to update the theological knowledge of adult leaders in our parish communities and to encourage the use of the Catechism in parish formation programs. Parish workshops on Fountain of Grace and the Catechism of the Catholic Church in English or Spanish are available through this office.